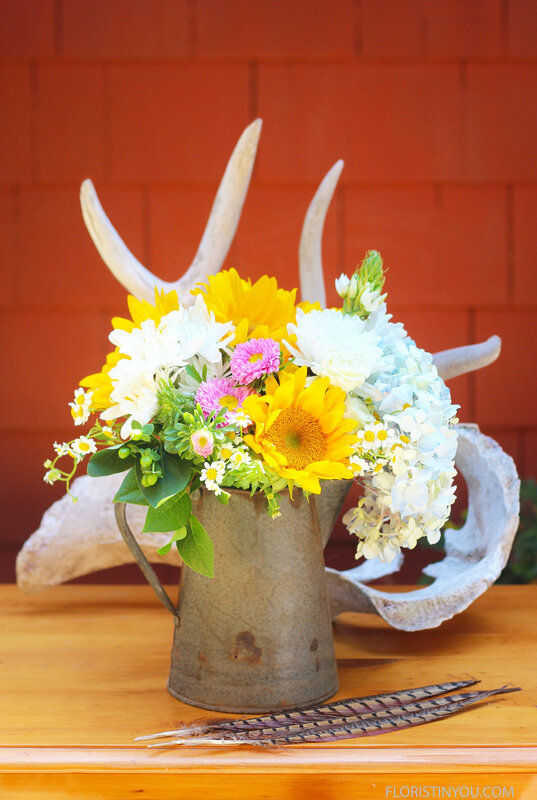 This Father's Day Arrangement is made with sunflowers in a rustic container. The container is an old coffee pot from a mining ghost town in Nevada. The bones are from the Nevada desert as well, one a deer antler, the other a bovine hip bone. (Georgia O'Keefe would have liked them too.) They have been carted around by brother and I for years, as my father was a civil engineer for the State of Nevada and President of a mining company that owned gold properties in the Carlin Trend. That area has the 2nd largest known gold reserves in the world. Some of the rocks from my father's rock garden are now in my brothers' yards and in my flower garden. 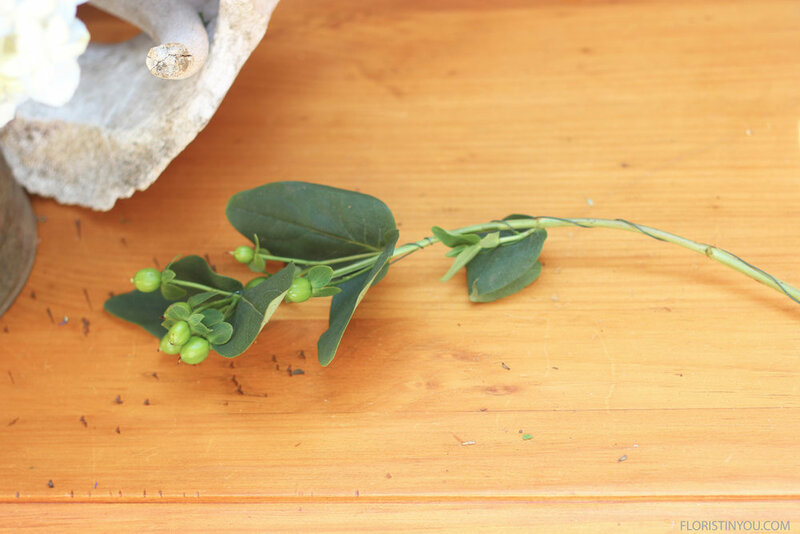 You can choose a rustic container of your own for your arrangement. Great Hack: Always wire your sunflowers, or their heads will hang down. Pierce with a heavy gauge wire (16 gauge) at the base of the flower head. 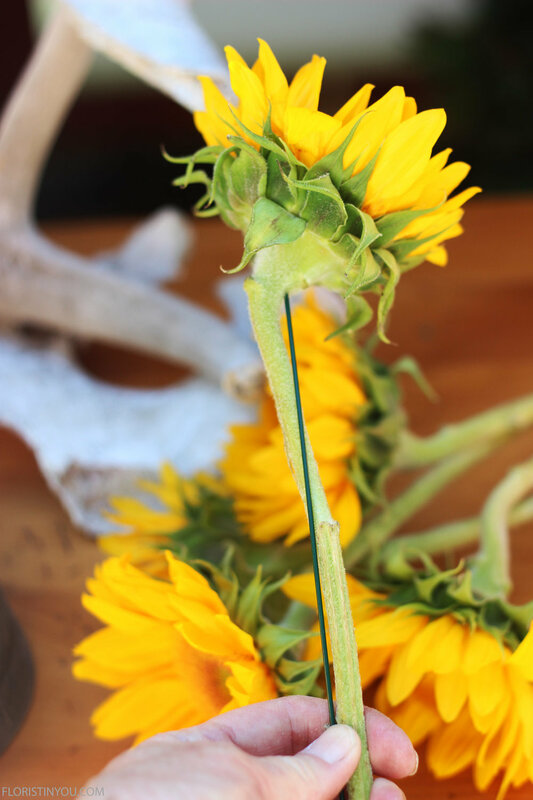 Stop before it pierces the top of the flower, then wrap the stem with the wire, making sure to cut the stem at a 45 degree angle so it will drink. You can wire your greens with a light gauge wire (20 gauge) and shape them with a curve so they will hang down. See below. If you have your 'still life elements' and flowers, let's begin. This is going to be an artistic adventure. Here are the materials you will use. 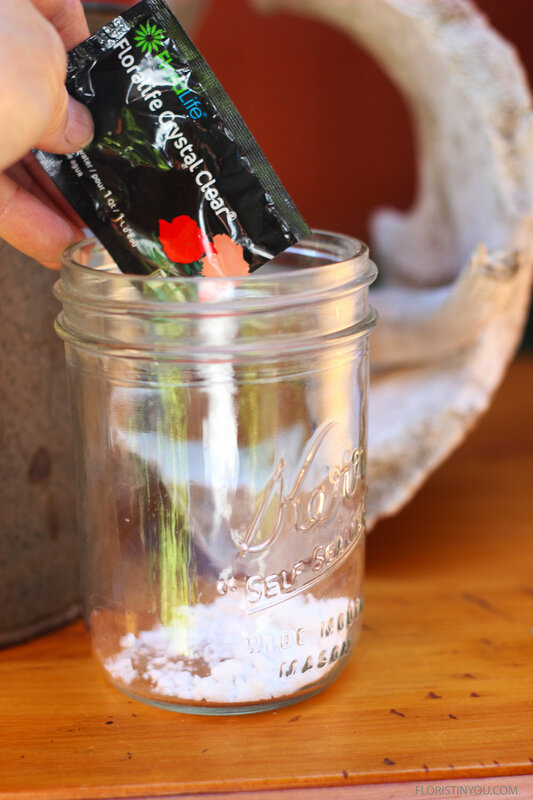 Put a package of flower food into a mason jar. Add water to 2.5 in below the rim. Slide the mason jar into the container. Insert wire into head of each sunflower. 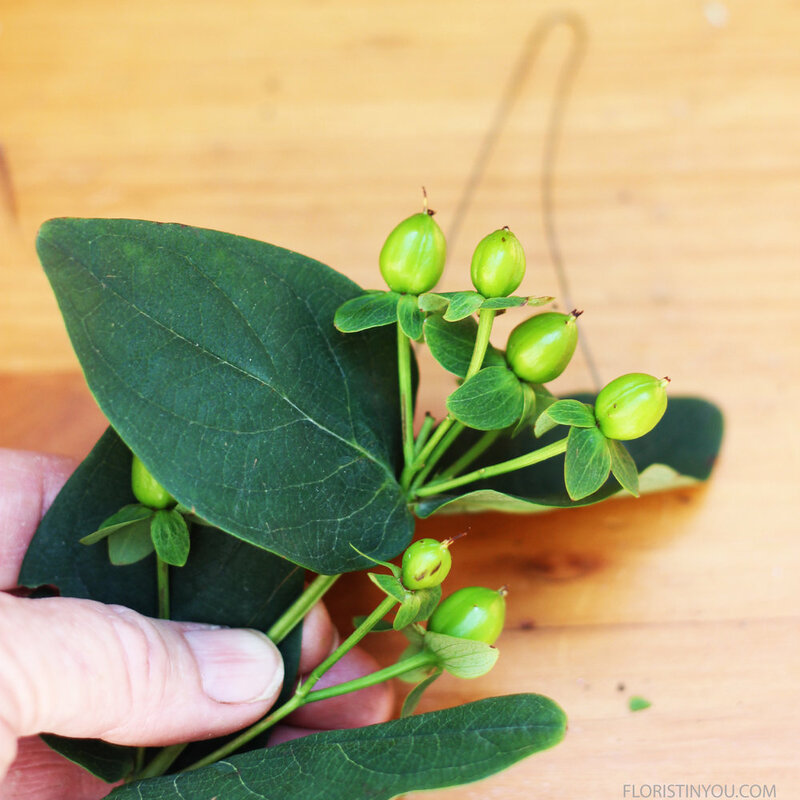 Wrap around stem. Here's a close up of the insertion point. Start with the Hydrangea right front. Add pink Asters on the left. Bend top 2.5 inches of light gauge wire back. Slip over top of coffee beans. Wrap wire down stem. Shape with a curve. Do the same for the Lemon Leaf. You begin the Lemon Leaf wrap the same way as the Coffee Bean Wrap. Insert greens & white Mums. Cut Star of Bethlehem so it pops up higher. Her are some close ups. I love the tiny Chamomile. The bones are very sculptural. You are done. Happy Father's Day.